If you had a toothache you would go to the dentist, of course, but there are many other kinds of pain that may be solved by getting quality dental care. For example, many people do not realize that a poorly aligned bite can lead to all sorts of issues, including buzzing or ringing in the ears, headaches or migraines, or chronic facial and neck pain. If you have been suffering from any of these conditions and have failed to pinpoint the cause, a visit to the dentist may be well worth your time. Neuromuscular dentistry can help in many situations when head or neck pain is persistent and it seems impossible to find relief. While this is surprising enough to many patients, what is even more shocking is just how fast and dramatic the changes can be. Neuromuscular techniques can help alleviate issues associated with bite problems that may be causing various types of pain throughout the face and head. 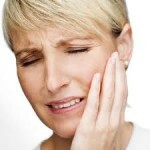 You may be familiar with TMD, which can refer to any number of conditions affecting the temporomandibular joint. Problems with the TMJ can be brought on by anxiety, poor bite, a jaw injury, or even arthritis, but in any case, seeing the dentist about alignment issues in the joints, muscles of the jaw, and teeth can help shed some light on how to start solving the problem. The first step is to make sure what the problem actually is, and there are many techniques by which a diagnosis can be made. Computerized bite analysis, for example, can show the dentist exactly what is happening with jaw movement, and this can be very helpful in making a correct diagnosis. If it turns out that TMD is indeed the problem, the way forward is to create a plan that targets the issues a specific patient is having. For instance, non-invasive techniques like physical therapy or relaxation exercises could be appropriate, or for more serious cases, restorative dentistry procedures may be required. Whatever the case, the important thing is to get the ball rolling, as these conditions generally do not get better on their own, and there’s no reason to wait when you can start heading down the road to pain relief right away. Scheduling an appointment is the first step!